Today’s Internet marketing industry is a whole lot different than what it was ten years ago. There are a lot of opportunities, as well as an ever increasing amount of users and consumers you can market products to. Advertisers have so many ways of delivering their message in front of the people they want it’s getting hard to decide which ones to use and which will work in certain cases. Social media sites like Facebook and Twitter have also introduced a whole new level of brand interaction with users, and it will likely get more complicated from now on. But if there’s one thing most marketers are sure of, it’s that affiliate links will be around for a very long time. That’s because they’re the most basic way for marketers to sell their and someone else’s products and receive commissions. Affiliate networks increase in numbers, and so are the advertisers, so anyone who’s into affiliate marketing and has at least a few good Web properties will continue to be making a lot of money in the foreseeable future. 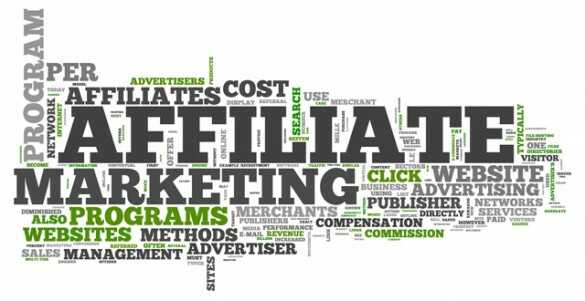 If you’re just getting started or are exploring new ways of making money online, you should know that affiliate links are the safest and still the best way to go. This is the first place that comes to mind when you think of affiliate links. Inserting affiliate links on a blog is the first thing you must do after creating it. If you link to any sites, services or product pages, then there’s no reason not make a profit along the way. On a blog running WordPress, Drupal, Joomla or other CMS you can also get a plugin that would make it easier to manage your links (for example update them when they expire, replace old ones with new links, insert links in old posts without editing them manually, etc.). If you have an email list (and you should), you definitely can insert affiliate links in the newsletters and emails you send out. This is what your email list is for, aside from sending out useful information and marketing your own products. However, direct affiliate links aren’t the best solution here. They affect the receiving and opening rates because many email services block emails with certain links inside. That’s why it may be best to create a special landing page on your blog (like a presell page, with links) or simply use a URL shortener service like bit.ly. Forum posts and signatures are also a perfect place for affiliate links. The benefit of adding them is that you put them in front of an established audience who is interested in what you’re marketing. If the forum doesn’t allow affiliate links, you can easily create a landing page on you blog that would contain, for example, a comparison between the best services related to the forum’s main topic. All the links should have your affiliate ID, of course. You can easily create unique and good articles for posting on other blogs. I accept guest posts on this blog, so feel free to write a unique and quality article and submit it to me. A lot of blog owners will allow you to insert affiliate links, but if not, you can always go with the landing page option (it really is very flexible). This method gives you the ability to have your links placed on relatively popular blogs, which means you don’t have to create your own and work hard to get traffic to it. This is a bit unconventional, but the free ebook you’re giving away on your blog or even the one you’re selling can be a great way to maximize your income by placing affiliate links to the services you recommend. However, you have to be honest and place links only to useful sites, not to the highest paying ones, otherwise the people who buy your book or subscribe to an email list in order to get it will be upset, and that’s never a good thing. There are a lot of other places to insert your affiliate links, and if you start combining these methods, you can easily create an amazingly resilient stream of traffic to advertisers that will pay you a commission for sales, leads or even clicks, which in turn, can make you quite a lot of money. You should use affiliate links everywhere you can, as it’s no more difficult than inserting simple links, while the advantages are very obvious.